He served in the United States Marine Corp from 1941to 1945 where he earned an Air Navy Medal. Brian Keith is best known today for his role as the gruff-but-lovable 'Uncle Bill' on the popular 60's TV sitcom "Family Affair". 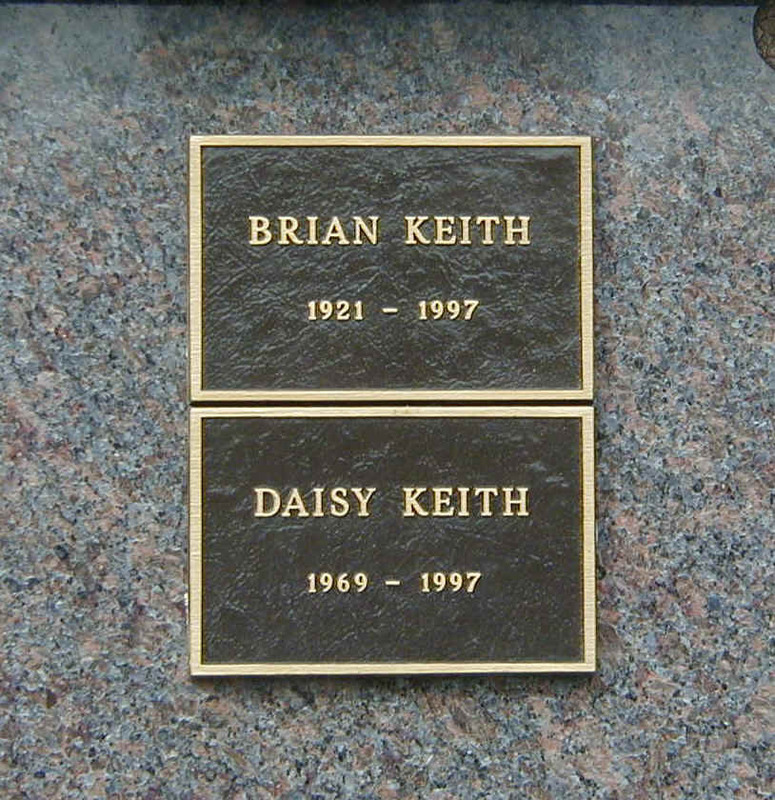 He is buried above his daughter, Daisy Keith, an actress who appeared with her father in the short-lived TV series, "Heartland," back in 1989. Daisy killed herself in May of 1997. Brian Keith, suffering from lung cancer & emphysema, shot himself at his Malibu home one month later.